This playlist has been the soundtrack to my January. It’s mellow but not sleepy, with a hint of melancholy. Perfect for curling up by the fire (or imagining you are). My sister got me the Against All Grain cookbook for Christmas and I used it to whip up these cranberry scones this past weekend. 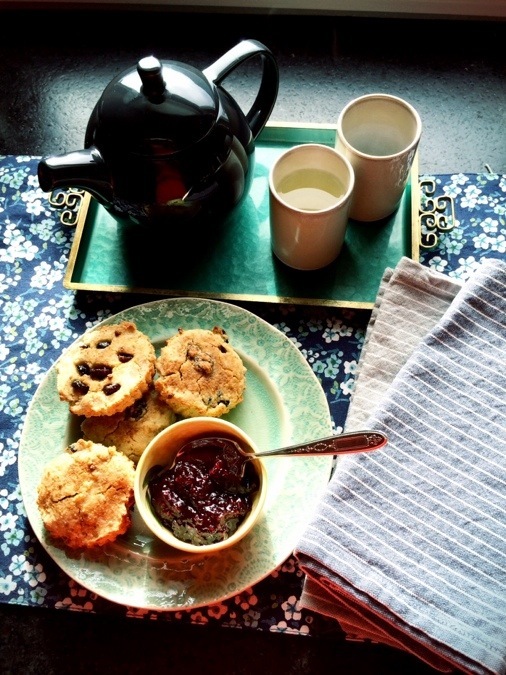 They were delicious– great flavor and perfect scone texture. Plus, they’re paleo, which makes them a bit more resolution-friendly. I can’t wait to try more from the book! 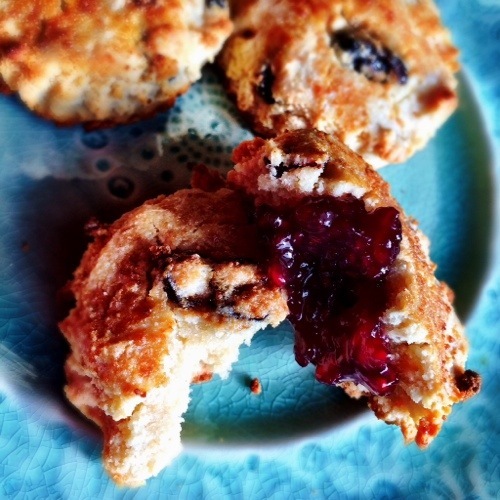 I topped mine with Ayers Creek raspberry jam and washed them down with a pot of Townshend’s Soaring Crane green tea. My sister stopped in just in time to share them with me hot from the oven. Happy January and stay warm!